This bi-annual event keeps getting bigger with each show. The success of the recent show can be attributed to the extensive number of vintage planes in attendance. 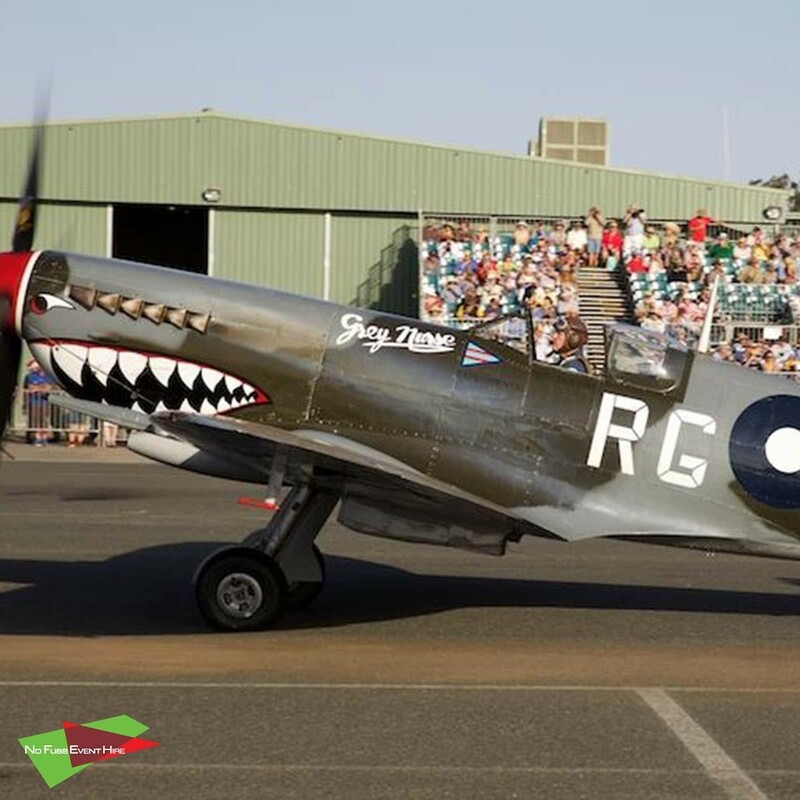 All aircraft are sourced from the Temora Aviation Museum Historical Aircraft Restoration Society, where they are curated with great care and respect. This year saw one of the largest gathering of warbird aircraft on display and demonstrations for both members and the general public to enjoy. Preparation for event organisers is a major job. 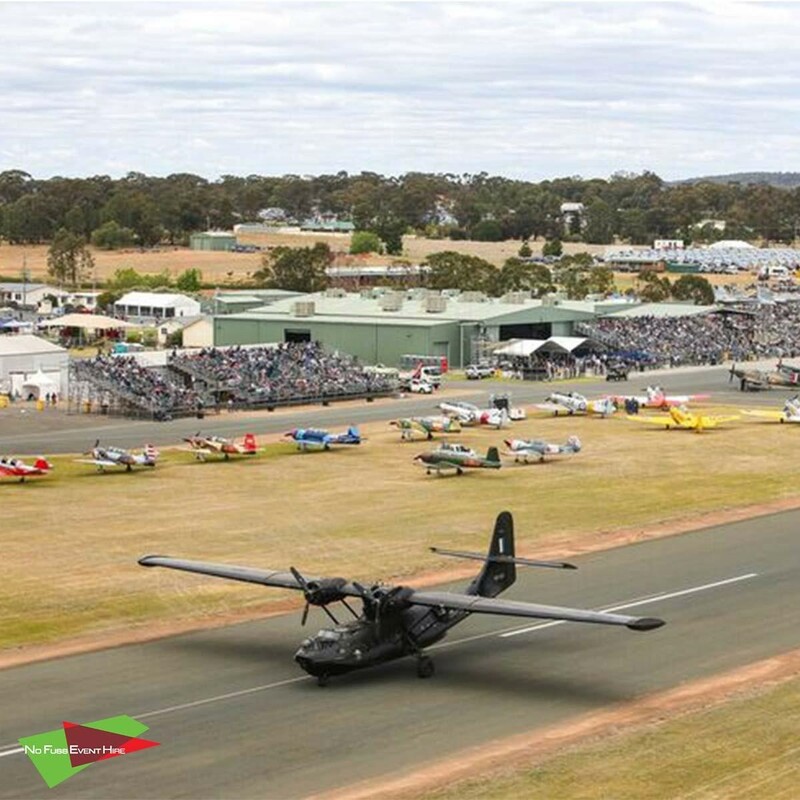 To assist with logistics, the Temora Aviation Museum partnered with No Fuss Event Hire. They had worked with the museum in 2015 to provide grandstand seating for patrons. They were again asked to provide equipment in 2017 however the event was postponed due to high temperatures and strong winds. So it was with great pleasure that No Fuss Event Hire was able to again assist the museum in 2018. Visual access for attendees is a priority given the nature of the event. Grandstands were decided upon and 3 interconnecting structures were designed by No Fuss Event Hire. The separate structures supported 804, 684 and 240 seats. They were installed in 5 days totalling 1,718 seats. 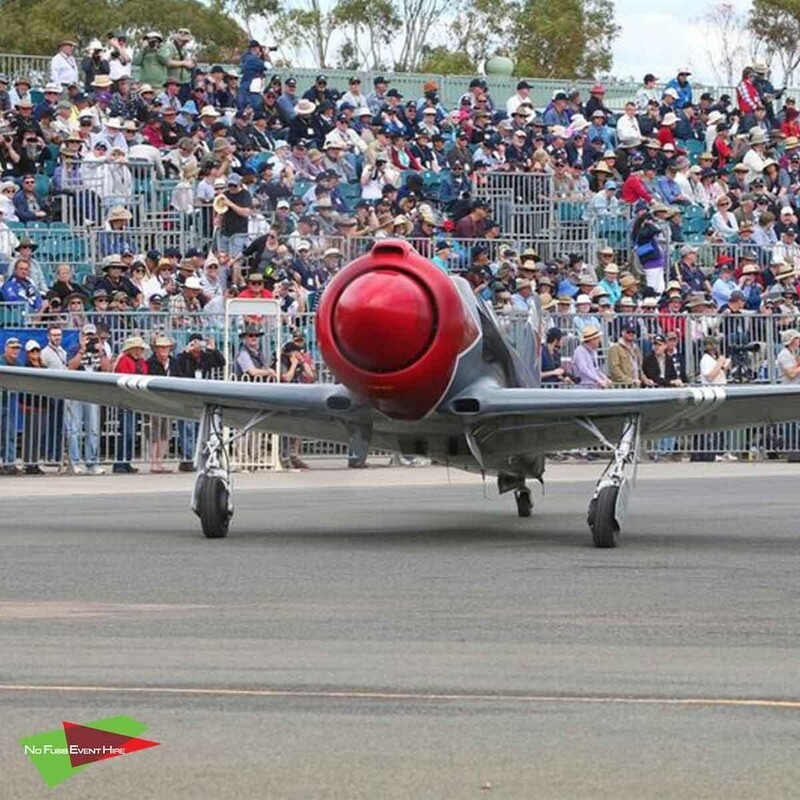 With the Temora Air Show starting on Friday, October 12th and finishing on Saturday 13th, ease of installation and demounting was essential. Temora is quite a remote area, 1 hour from Wagga. It was imperative that all equipment and accessories were onboard to ensure a smooth set up at the airshow site.